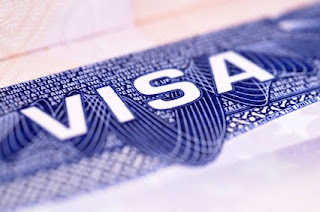 There are several different types of visa available. The most commonly used are Visit visas, tourist visas and residency visas for ex-pats. Visit Visa: Visit visas valid for 30 days will cost Dh500. This cannot be renewed. A person wishing to stay for an extended period must obtain a visit visa valid for 90 days that costs Dh1,000. Citizens of the certain countries (listed in the next paragraph) can get a 30-day visit visa free of charge upon arrival, entitling them to stay for 60 days: Britain, France, Italy, Germany, the Netherlands, Belgium, Luxembourg, Switzerland, Austria, Sweden, Norway, Denmark, Portugal, Ireland, Greece, Cyprus, Finland, Malta, Spain, Monaco, Vatican, Iceland, Andorra, San Marino, Liechtenstein, United States, Canada, Australia, New Zealand, Japan, Brunei, Singapore, Malaysia and Hong Kong. After this period a visitor can extend the visit visa by a further two months by leaving the country and returning. This can be done twice. When the third visit visa expires the person must leave the UAE for at least a month before returning. For residents of other countries, the visa must be sponsored by an individual, such as a relative, or an establishment. The application is submitted by the sponsor with all required documents. Tourist Visa: It is available for tourists sponsored by tour operating companies and hotels. It is issued for 30 days for a fee of Dh100 and an additional Dh10 for delivery. This may be renewed only once. Student Visit Visa: Will cost Dh1,000. To obtain this, a person must be registered in one of the universities in the UAE and must obtain health insurance. Additionally, a refundable deposit of Dh1000 must be paid. Special Mission Entry Visa: This is issued for a non-renewable 14 days for a fee of Dh100. Commonly known as a transit visa, it is collected by the visitor upon arrival. It is issued to businessmen and tourists sponsored by a company or commercial establishment or a hotel licensed to operate in the UAE. Mission Visa: The newly added type of visa, it is issued for the purpose of temporary work in the country. It is issued for a maximum of 180 days. It costs Dh200. It has been introduced to facilitate Labour Ministry's Temporary Work Permit. An applicant must obtain the permit from the Labour Ministry first to get the visa. Transit Visa: It is issued to travellers transiting through UAE airports. It issued for 96 hours and must be sponsored by an airline operating in the UAE. The visitor must have a valid ticket for onward flight. There is a charge of Dh100. Multiple Entry Visa: It is an option for businessmen who are frequent visitors to the UAE and who have a relationship with a reputable company here. This multiple visa is valid for six months from the date of issue and costs Dh1,000. However, each visit must not exceed 30 days. The visitor must enter the UAE on a visit visa and obtain the multiple entry visa while he is here. Residence Visa: A residence visa is required for those who intend to enter the UAE to live indefinitely with a person who is already a resident. It is issued to the immediate kin of a resident for three years for a fee of Dh300. The residence permit becomes invalid if the resident remains more than six months at a time out of the country. Employment Visa: Employment Visa or Permit is issued by the Immigration Department to a foreign national who wishes to work for a company in the UAE upon the approval of the Ministry of Labour and Social Affairs. When the employee has entered the country on the basis of the employment visa, the sponsoring company will arrange to complete the formalities of stamping his residence. Visit visa for medical purposes: Those wishing to undergo treatment must take visit visa for treatment purpose that costs Dh1,000 for 90 day duration. This can be renewed for a similar period at Dh500. Visit visa for events: Those visiting to attend conferences or exhibitions can obtain a visa for this purpose at Dh100. A Dh1,000 refundable deposit and proof of health insurance will be mandatory for all visas. Documents required include passport copies, photographs of the visitor and the data of the visitor, including address in home country. Regulations in the UAE are complicated and subject to change. Check with your local UAE Embassy or write to me.